iOS 8 beta has been released on Monday, 2 June 2014. In Beta 1 brings numerous new features and lots of hidden features such as the Hide Photos In Photos App, Automatic Delete Messages Within Defined Period, Battery Usage Per Application, Manual Exposure & Focus Control In Camera App and Self-Timer, Request Desktop Site In Safari Browser, Medical ID In Case Of Emergency, Time Lapse Videos, Rearrange iOS 8 Share Sheets, Rich Text Support In Notes App and etc. When Apple released new version after certain time that beta will expire. I think its Apple company policy about betas that’s why every certain time period Apple released new beta for developer and user.The First iOS 8 beta will expire on Wednesday, July 16, after that date any iPad Air 5G, i4G, Mini, iMini 2, 3G, 2G, iPhone 5S, 5C, 5, 4S and iPod Touch 5G will the initial beta download or installed will no longer work. Before the iOS 8 beta gone you need to download or install beta 2 to keep the system running. 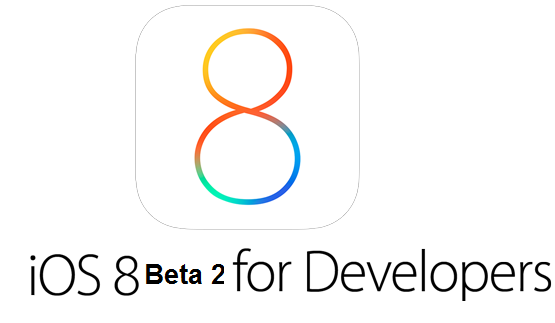 Have anyone know when Apple release iOS 8 Beta 2 for developers and users? Developers can expect Apple will release the iOS 8 Beat 2 soon, possibly today, according to the apple timeline. Users should expect Apple to see the iOS 8 beta 2 early as Saturday, June 2014, or may be on Friday, June 20. Prediction: Apple will reveal the beta second on Monday, June 16 or Tuesday, June 17 and public version will be released soon.